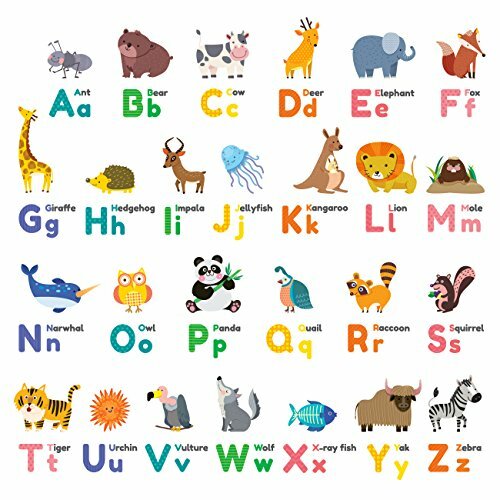 Our Animal-themed alphabet wall stickers include both lower and upper cases for each letters. The bright colours and friendly animal characters generate a perfect educational aspect yet, decorative piece for any child's bedroom wall. Included are an assortment of well-known animals added with an assortment of colours that is convenient for both boys and girls. This product is ideal for nurseries, classrooms, for boys and girls of all ages to appreciate and learn.